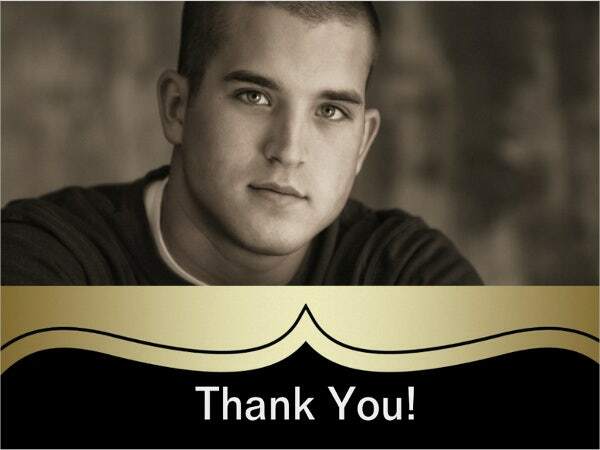 “Thank you” is an intense statement. Unfortunately, you won’t hear it as much as you would expect. 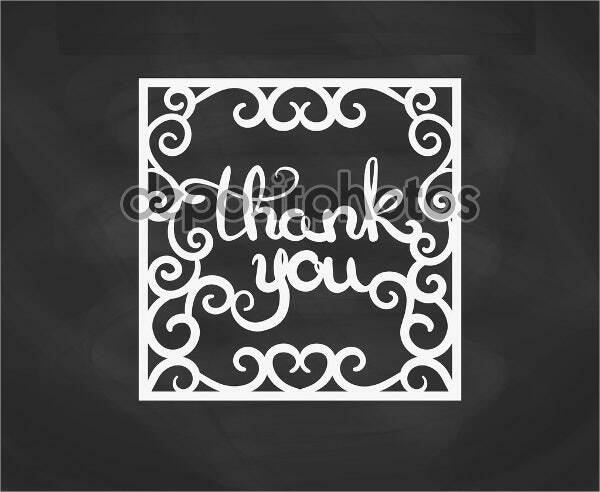 Every thank you is a chance to offer your capabilities and to leave a good impression in the mind of the reader or listener. 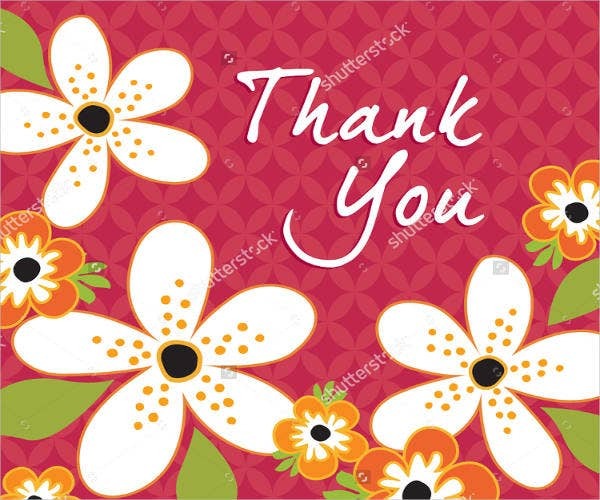 Sending a thank you card or note to families, friends, employers, and colleagues whenever they have extended themselves in any way for your benefit is only proper. 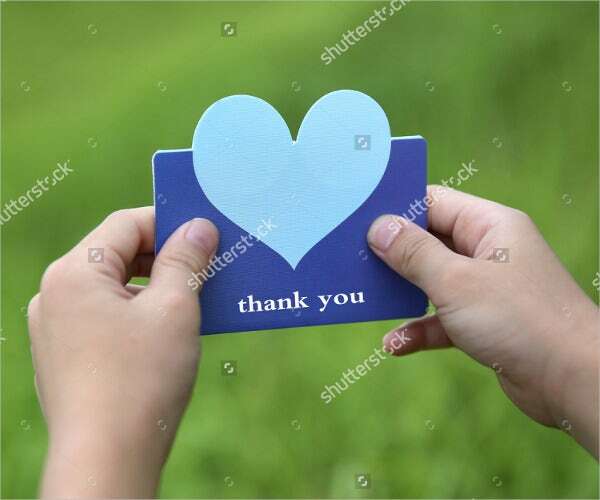 At its core, offering gratitude for something you’ve received, regardless of whether it’s a material object, an experience, or something intangible like giving support or a helping hand, is something that simply needs to be done. 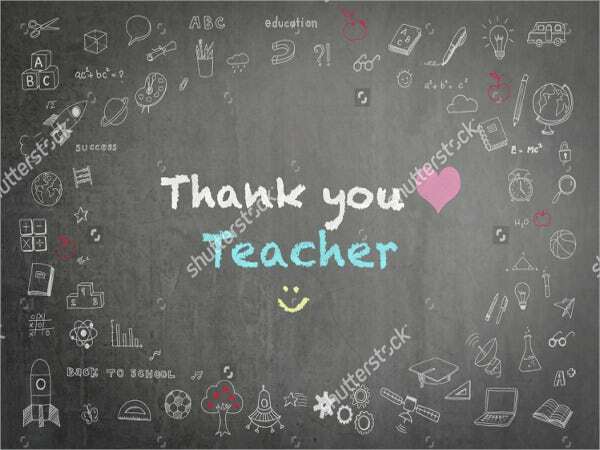 The method, timing, and other details are seldom as important as the simple act of saying thank you. 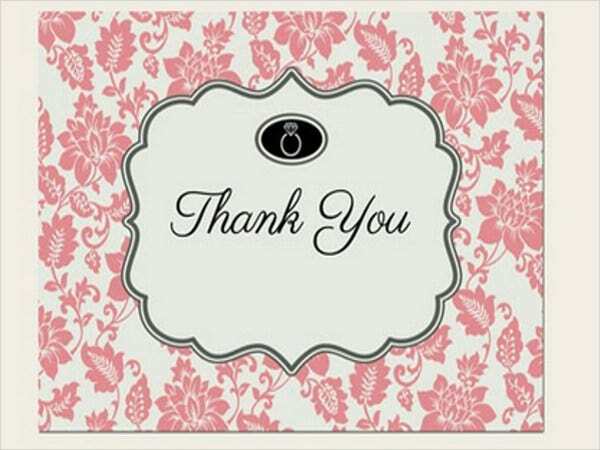 We frequently stumble on trying to make things perfect when we ought to simply adhere to the simple “thank you” and get the message out. 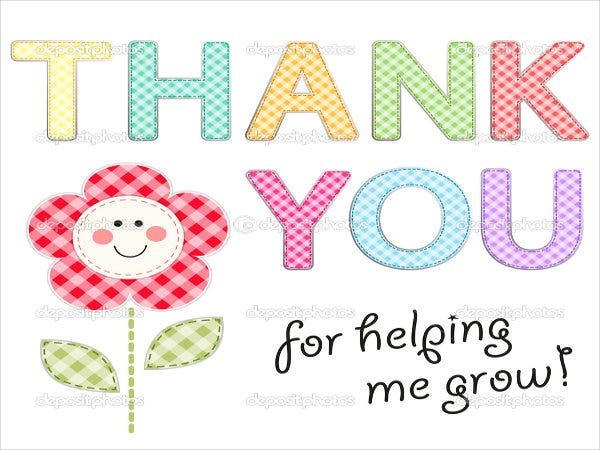 So if all else fails, a simple “thank you” is the best thing you can do to show your appreciation. The bottom line is, to just say thank you. 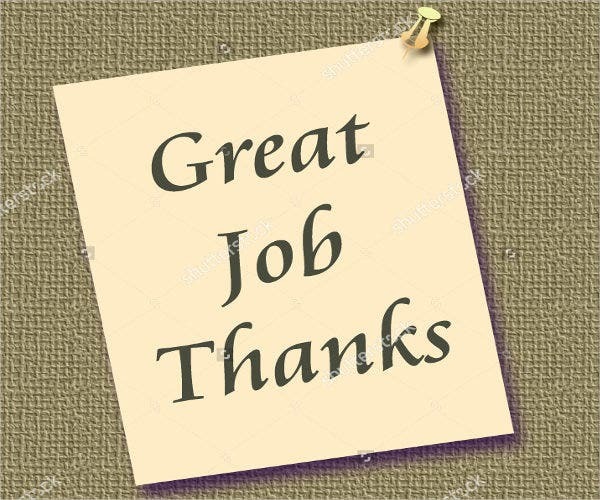 The individual getting the thanks will simply be glad to hear it; the mode and message are once in a while as important as the simple act of recognizing somebody’s thoughtfulness. 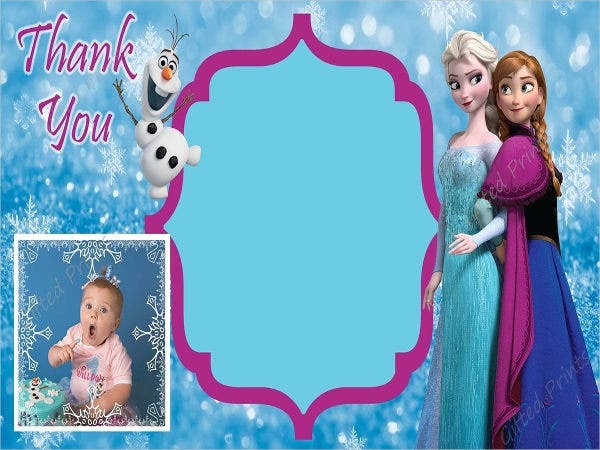 Feel free to check out our collection of Free Thank You Card Templates. 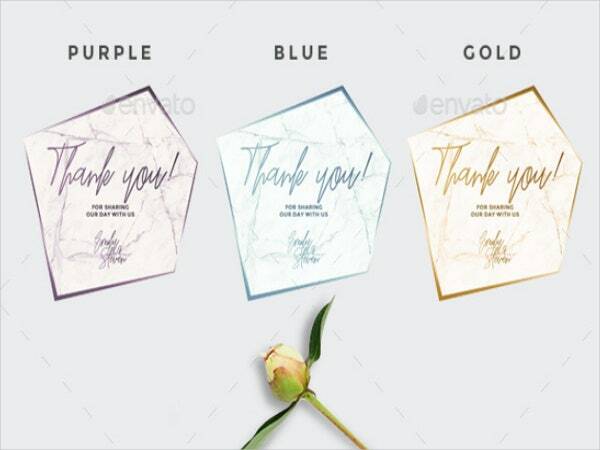 Also known as a letter of thanks or thank you note, this is a document that is utilized by an individual or group of individuals when expressing gratitude or appreciation to another. 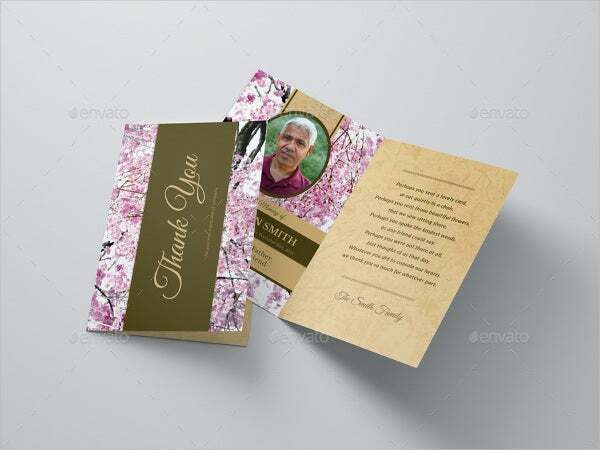 A thank you card ought to be composed as a standard business document or personal letter and should not be more than one page. 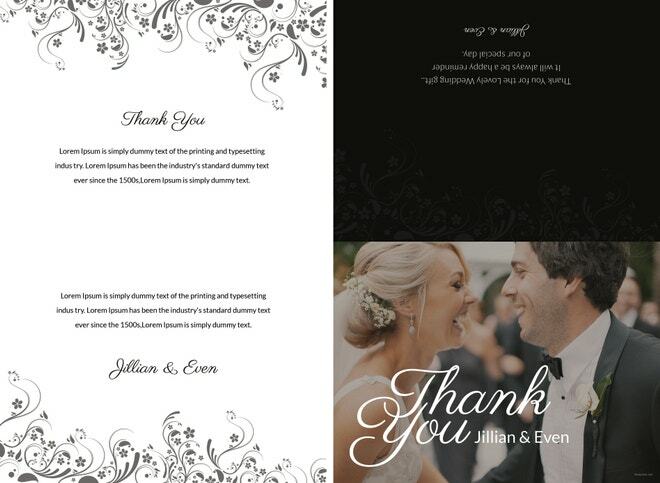 Thank you cards can either be personal or business-related and can either be handwritten or electronically made. 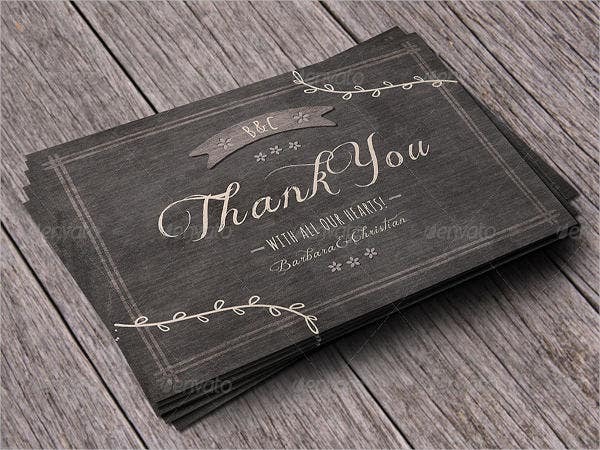 But for those thank you cards that are written by hand, the recipient is usually a friend, colleague, or a relative. 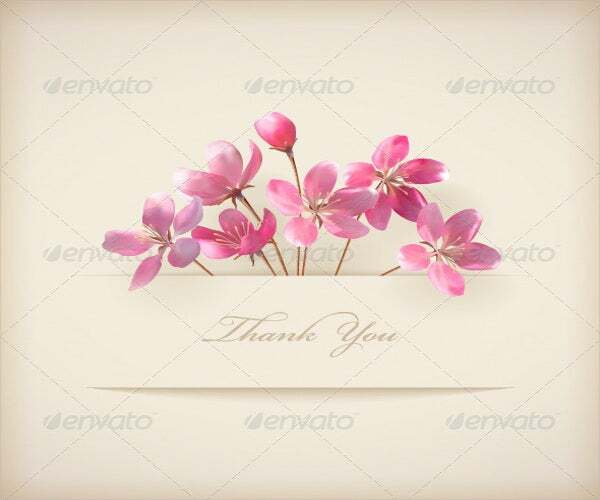 Thank you cards are sometimes called as appreciation or gratitude cards. 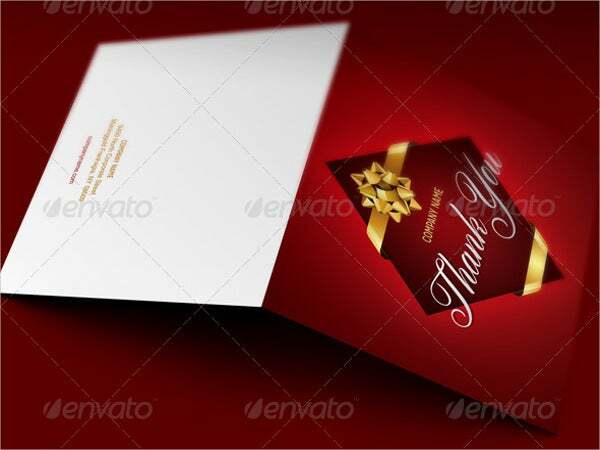 These types of thank you cards are typically composed as formal business documents. 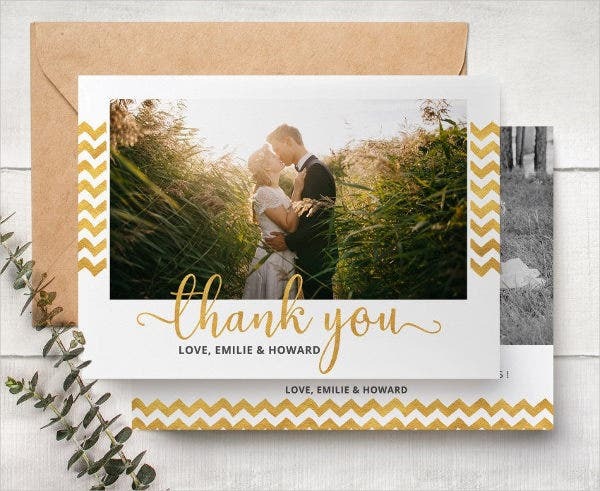 Why Should You Write Thank You Cards? 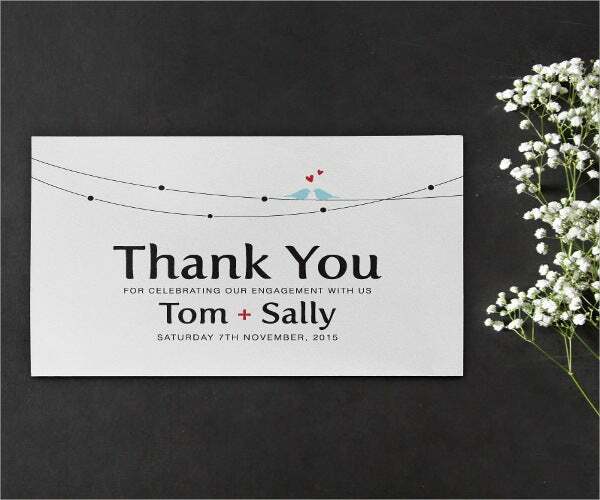 Here we discuss the importance of writing thank you cards. For instances when someone does a really big favor for you or buys you an expensive gift. 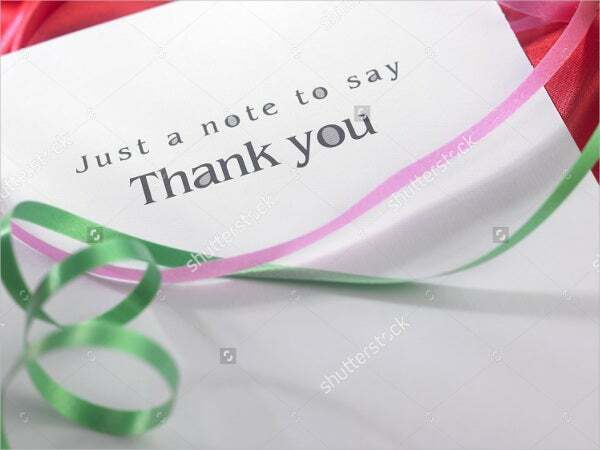 If they receive a thank-you note from you, they will be more likely to do it again, and they will most likely see your worth and value your appreciation. 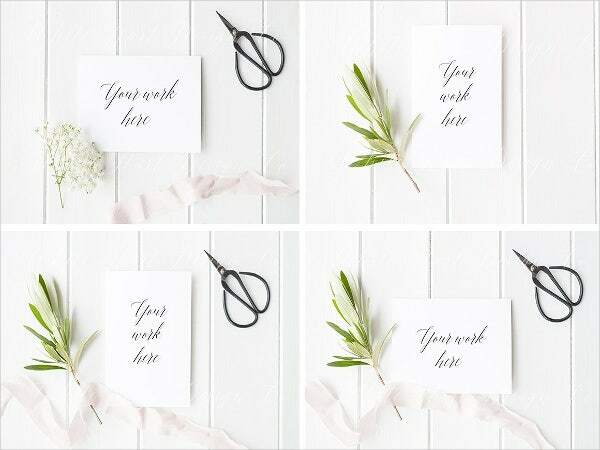 Thank you cards written by hand will show them that you are a well-rounded individual with good morals, and people always want to make friends with those who show appreciation for the things they receive in life. 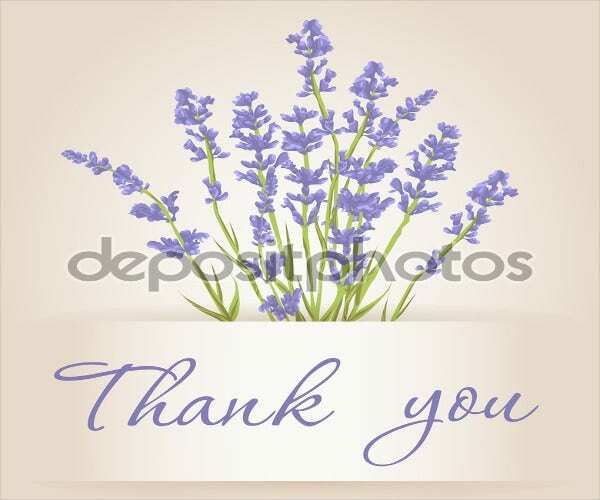 It is believed that one way for someone to be happy is to appreciate things and to express them by being thankful. 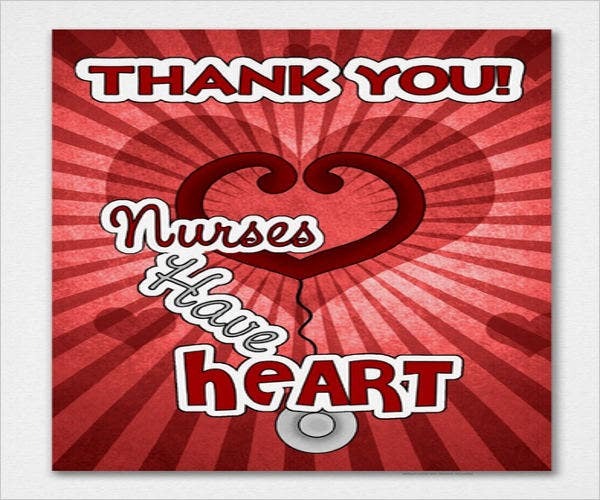 Not only will it make yourself feel good, but also the person you are thanking. 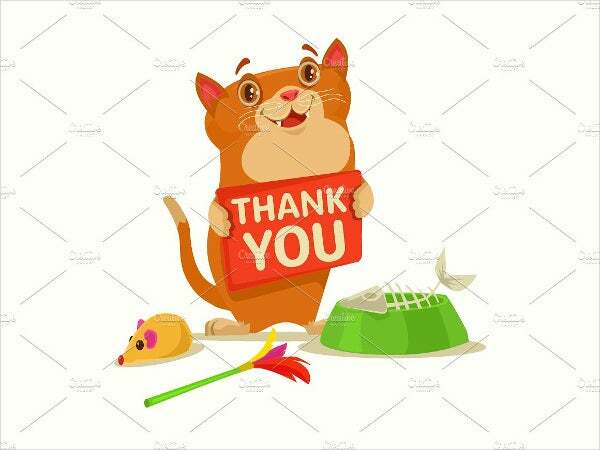 Showing your gratitude towards something can make you feel as if you have done something good. And for those who believe in the saying “What goes around, comes around,” showing gratitude is one way to convey some positive vibes and engage in doing good deeds. 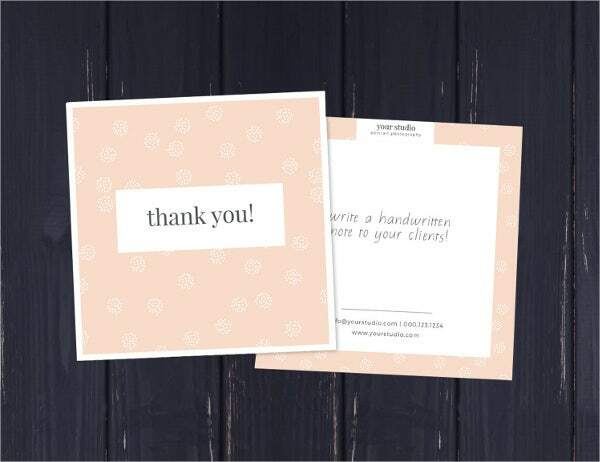 Thank you cards have a more personal touch to them than digital messaging because they are handwritten. Most fonts on the computer and phones look the same, but people’s handwriting vary to some degree with others. 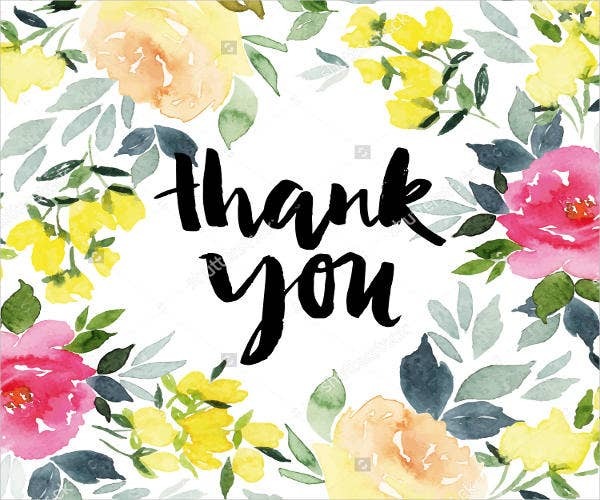 Adding a personal touch to your thank you note allows the person to feel a little closer to you than they would when reading an email or text message. 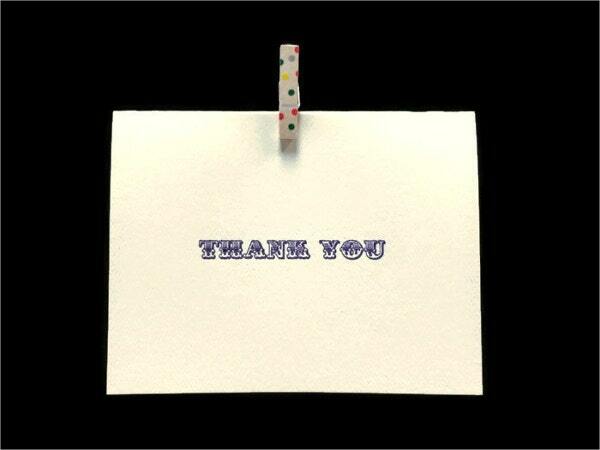 In some cases, job applicants send thank you notes to the hiring manager following a job interview. 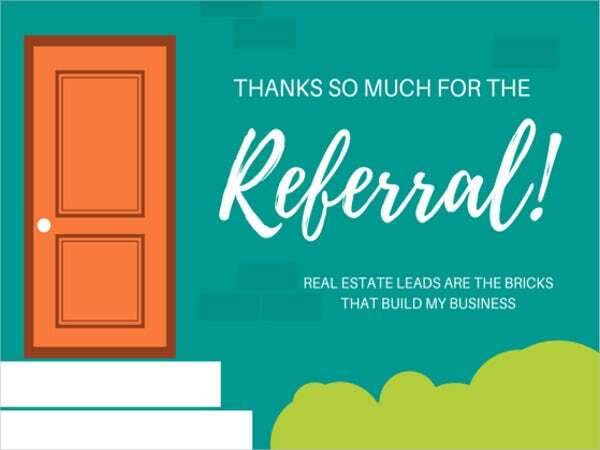 Though this may also be a bit risky since people usually don’t want to overwhelm potential employers, but there are even more people who have had successful experiences involving follow-up thank you notes. This way, you can restate points that you mentioned during the interview and this also lets the company know how determined you are in getting this position. The ability to communicate through writing is just as relevant as through speaking. 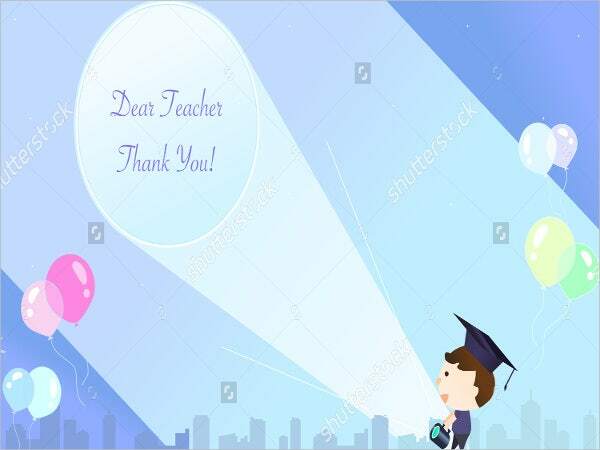 Technically, anybody can have good written communication skills on the computer with the help of grammar and spelling checkers, but handwritten notes have a unique form of communication. Emails tend to get lost in inboxes, especially when junk mails come in and clutter the inbox, and some people don’t even bother to reply to emails or text messages anymore. 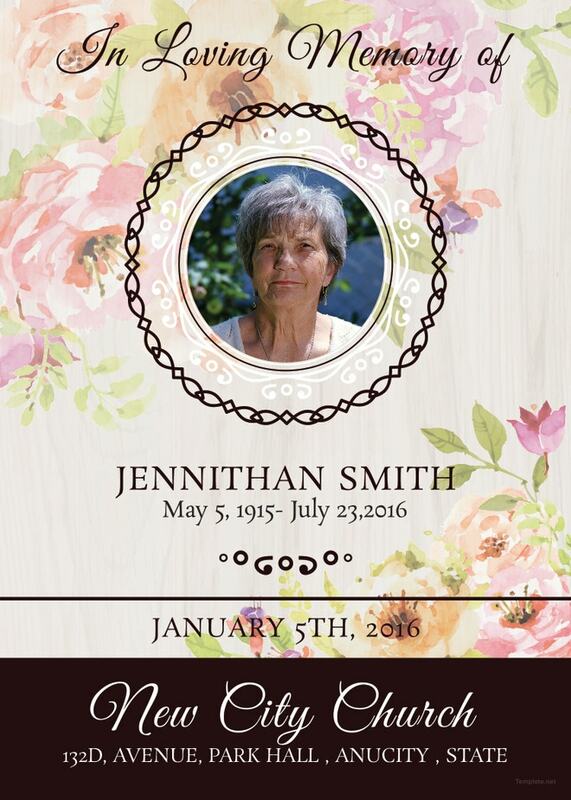 Digital messages can be considered disposable and are often overlooked. 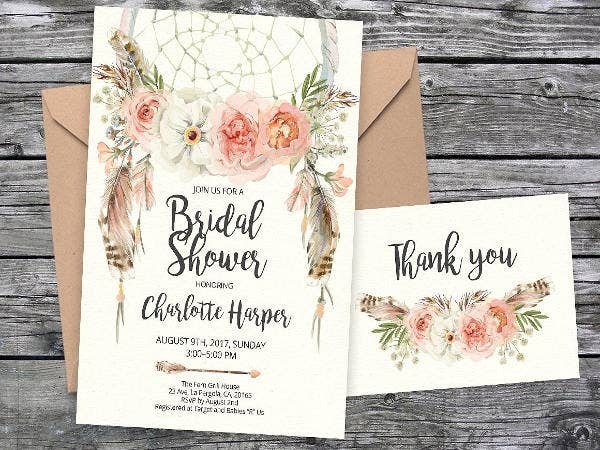 A handwritten thank you note practically demands the attention of the reader, and most people will keep them as a memorabilia. 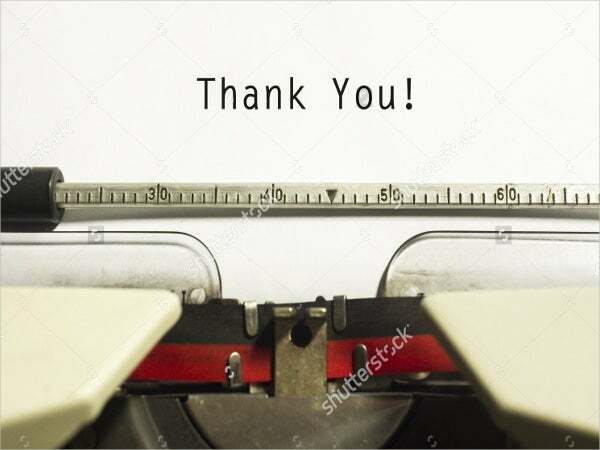 It’s always safe to say that a thank you note is enough to show people that you appreciate something that is done for you, even if the end result is not that beneficial for you, but the fact that they took the time to take the extra mile is worth appreciating. 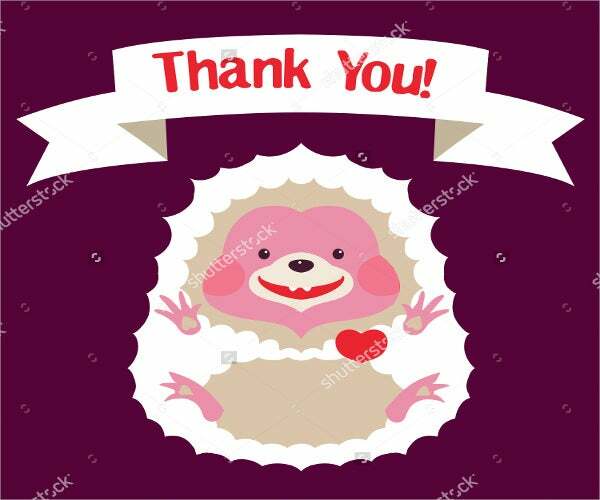 A thank you note demonstrates your maturity and your ability to show gratitude to people who went out of their way just for you. 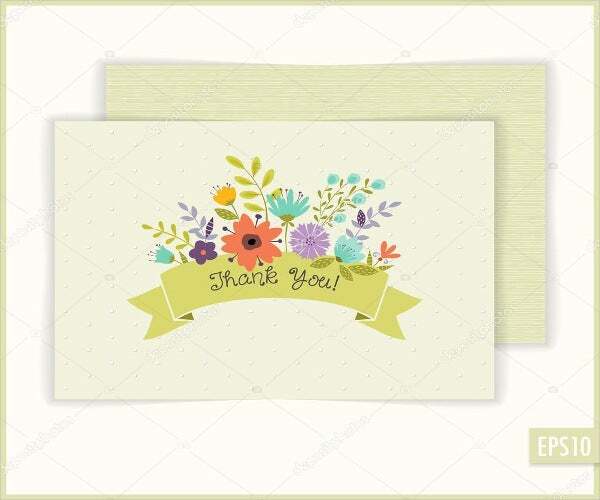 For more card templates, you may want to check out our collection of Cool Thank You Cards, Thank You Card Templates, and Sympathy Thank You Cards. 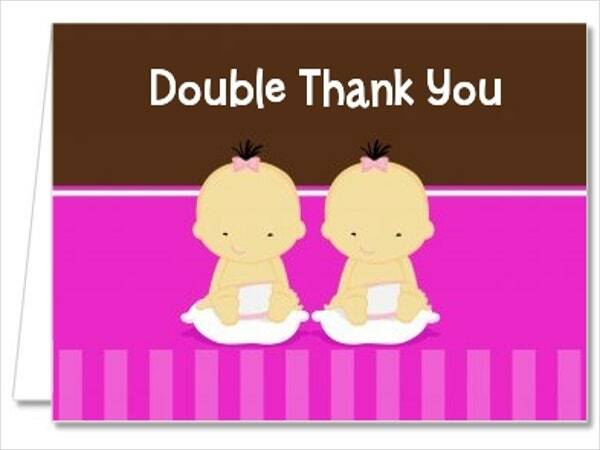 Here we discuss the two most common types of thank you notes. 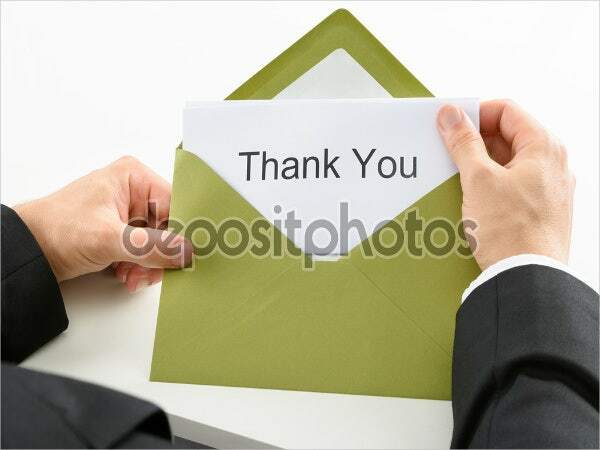 There are many occurrences in everyday life that can warrant a formal thank you letter. 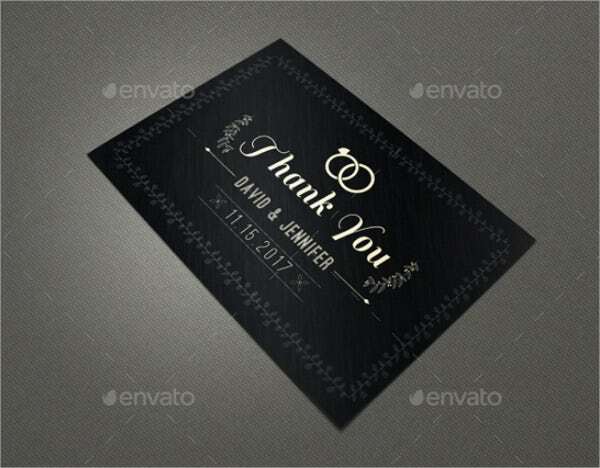 Common circumstances wherein you are advised to respond with a thank you note include: a follow-up thanks to a hiring manager after a job interview or job offer, thanking an organization or institution for extraordinary customer service received, thank you note to companions as well as neighbors for their support amid a troublesome period, thank you cards for gifts received from guests during a wedding, thanking an office or agency for support given to you or your family and relatives, etc. 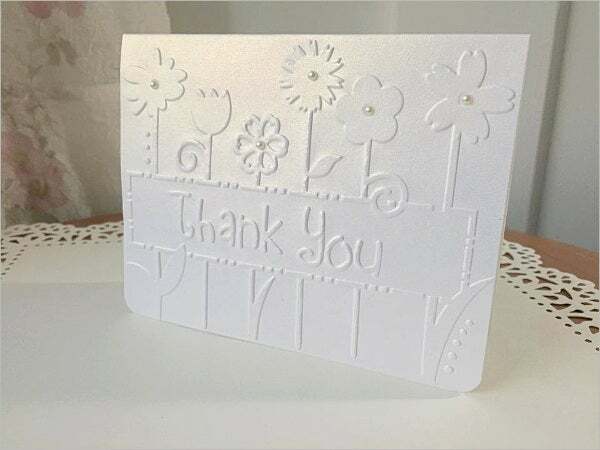 As with personal occurrences, there are also various circumstances in everyday business that can lead us to respond with a thank you card. Some usual circumstances include: gratefulness for special considerations by another organization, thanking a speaker for a presentation at an executive meeting, appreciation cards for customers thanking them for their support, thank you notes to employees for exceptional service and loyalty, thank you notes to an individuals or organizations for a client referral, appreciation notes to volunteer service workers for their personal commitments to a public service crusade, and many more. 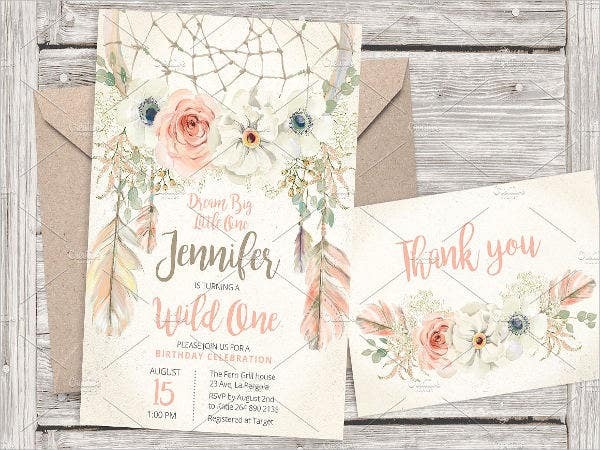 How Do You Write Thank You Cards? 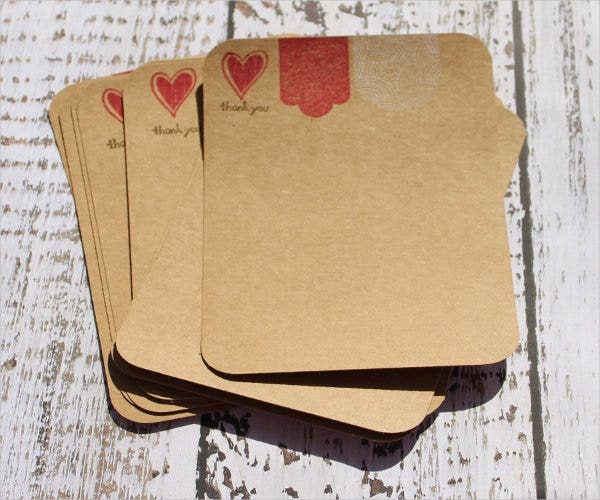 Start the note by focusing on the person that you are writing the thank you note to in at least one or two sentences. 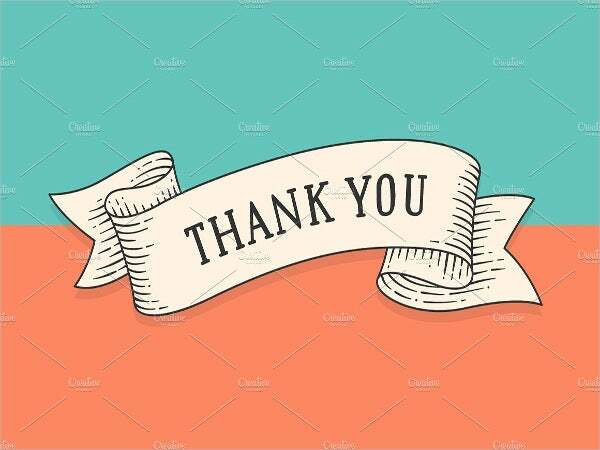 In the next sentence or two, state what you are thanking: a gift, for inviting you to an event, a job interview or offer, a assistive hand, etc. 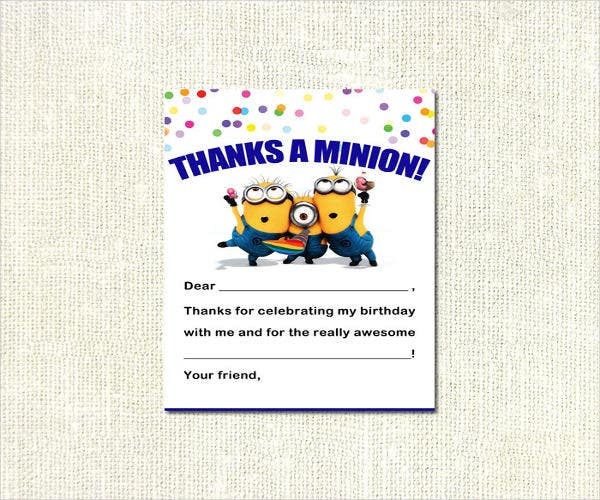 Make sure to really say the words “thank you” on this part of the note. 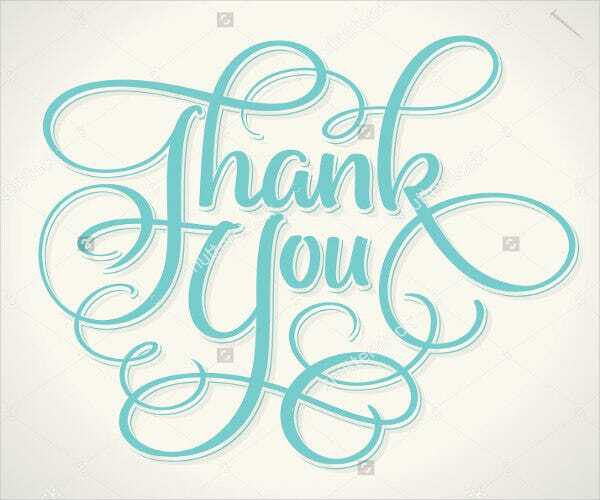 In the following sentence or two, write in detail about what you are thanking, what you love about it, or how it has benefited you. 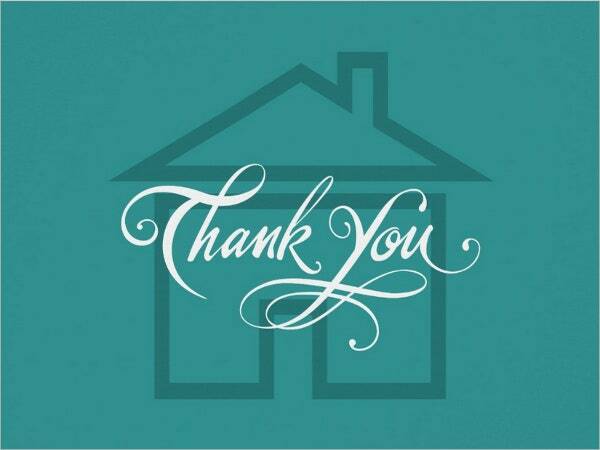 End your thank you note by saying that you look forward to seeing them again in the near future. 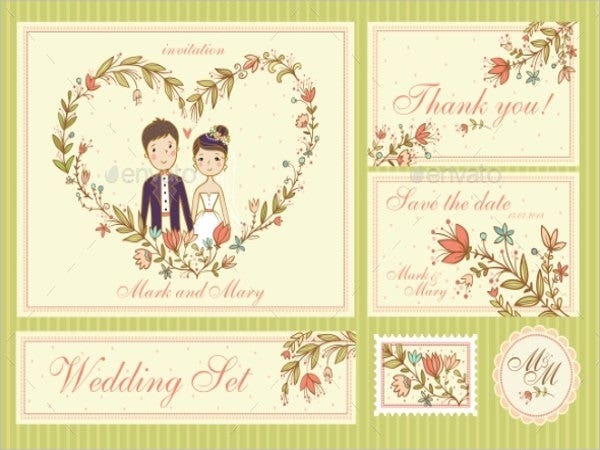 This shows that you enjoy their company and are looking forward to continuing the relationship. 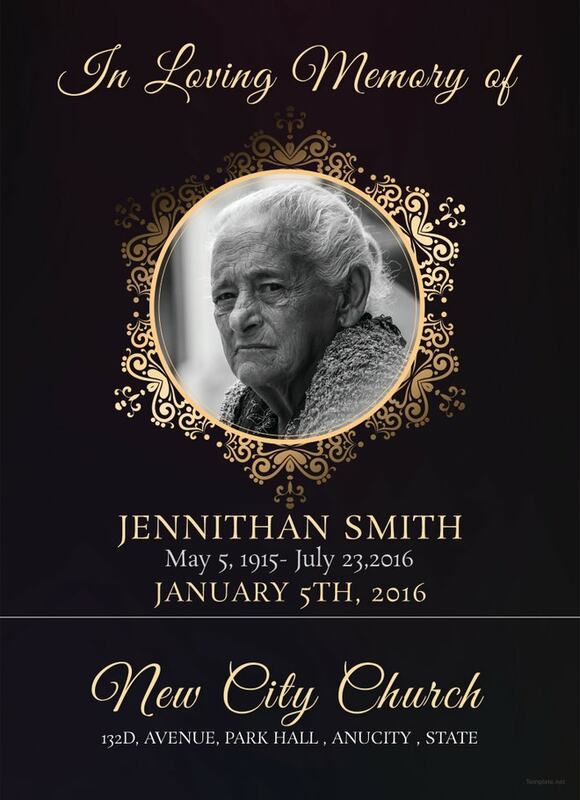 The quality of life is measured by the quality of our relationship with others. Telling them that your plan on seeing them again can help make your relationship stronger. 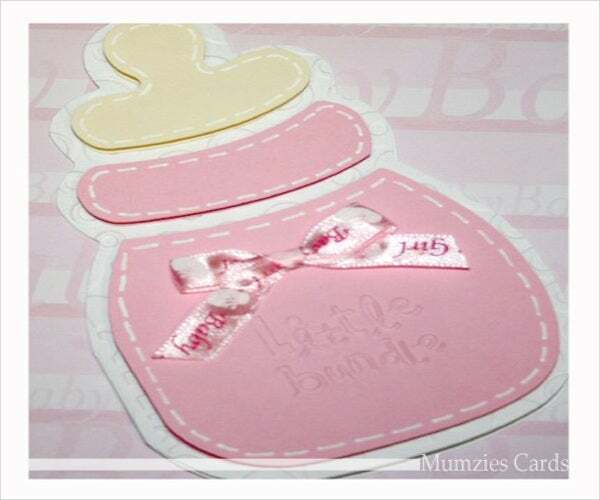 Sign of your note with thoughtfulness. Don’t just simply sign off, you have to put some thought and heart into it. 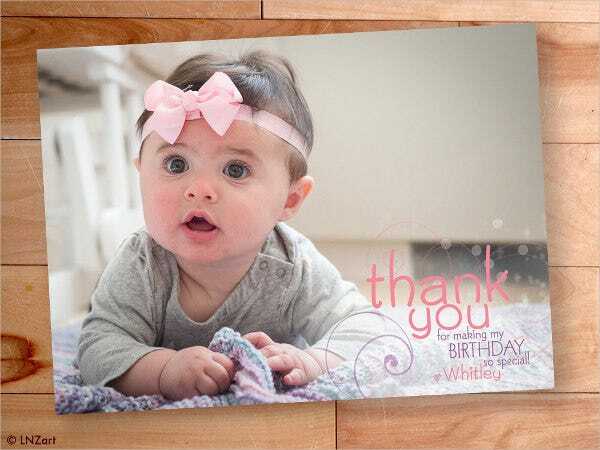 For even more card templates, you may also want to check out our collection of Funny Thank You Cards, Baptism Thank You Cards, and Thank You Certificate Templates. 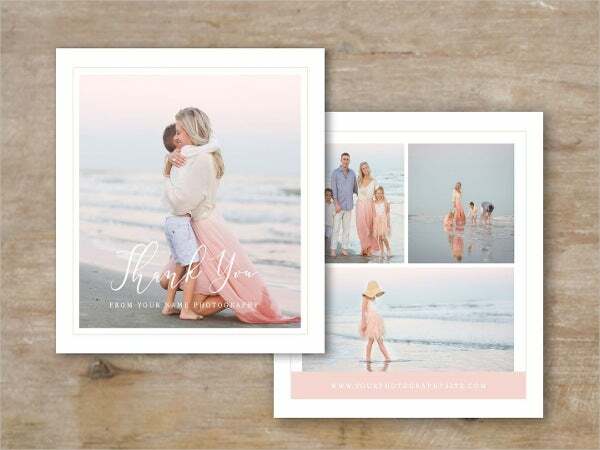 While a thank you note at any given time is better than none at all, it’s more effective and meaningful when done in a timely manner, and this is the most important factor to consider when sending thank you notes. 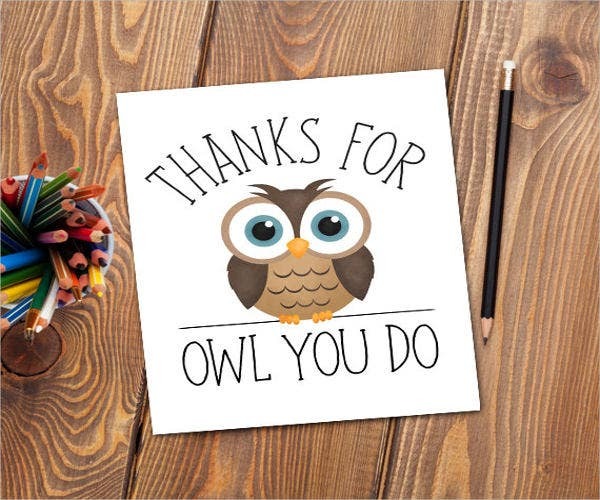 People usually get caught up when thinking of what to say in their thank you cards, but something simple may most of the time be the best. 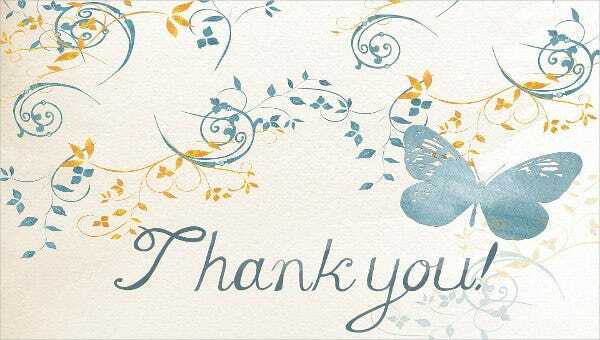 As long as you are sincere, a simple thank you that mentions what you are thankful for is already sufficient. 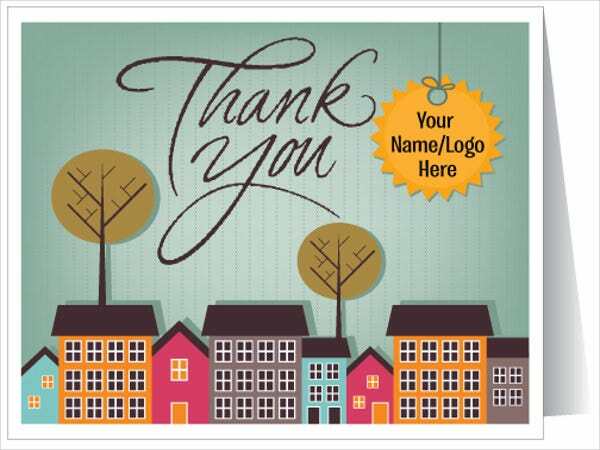 Make sure you spell everybody’s name correctly in your thank you note. 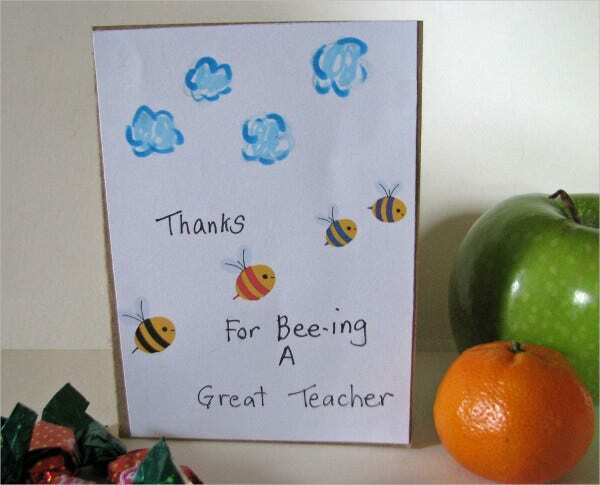 People sometimes don’t always like what they receive and tend to write thank you cards in a passive-aggressive way. In cases like these, leave the negative thought to yourself and thank the person for their gesture. 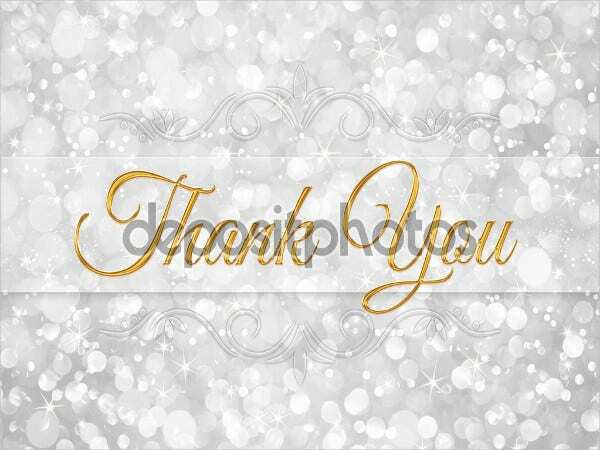 Do not overdo with the act of showing gratitude, because this can make them feel uncomfortable. 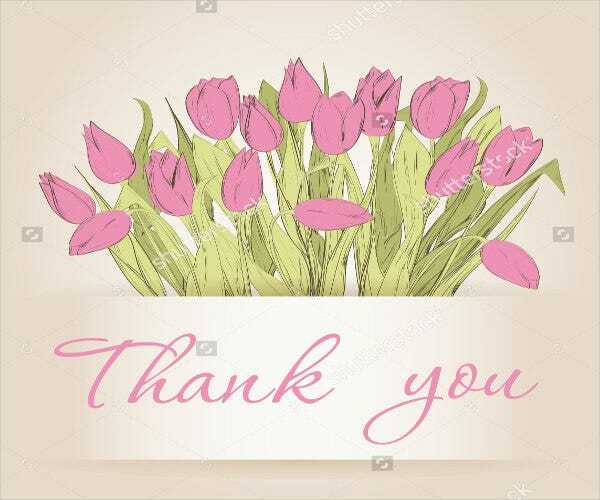 Keep the level of thank your near the level of the kindness you received. 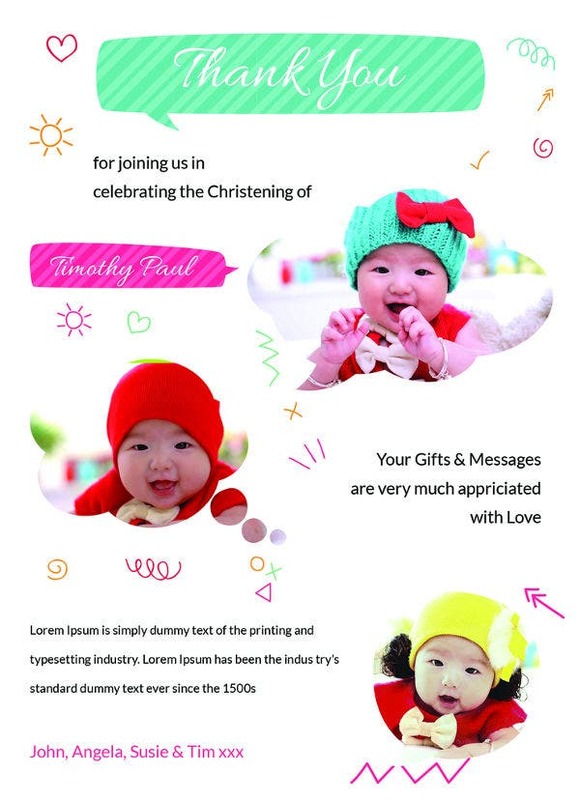 Why Download Our Thank You Card Templates? 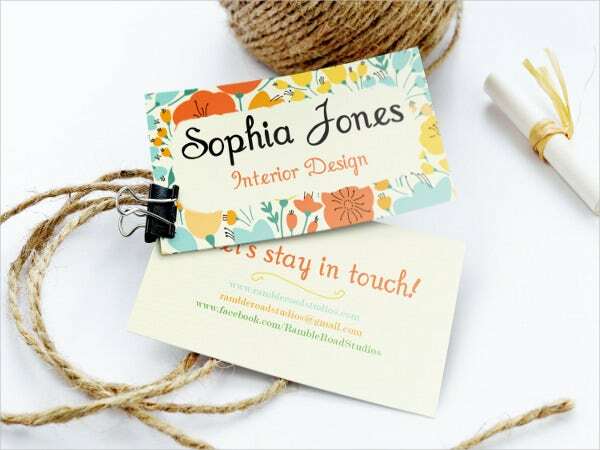 These templates were selected from among the best ones on the Internet and were designed by creative graphic artists from all around the world. 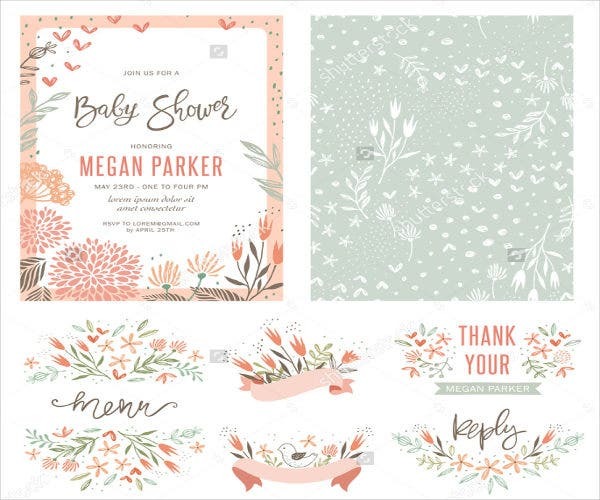 You may be able to download these templates easily for a very reasonable price, and you can choose to save it in either PSD, AI, or EPS depending on which format works best for you. 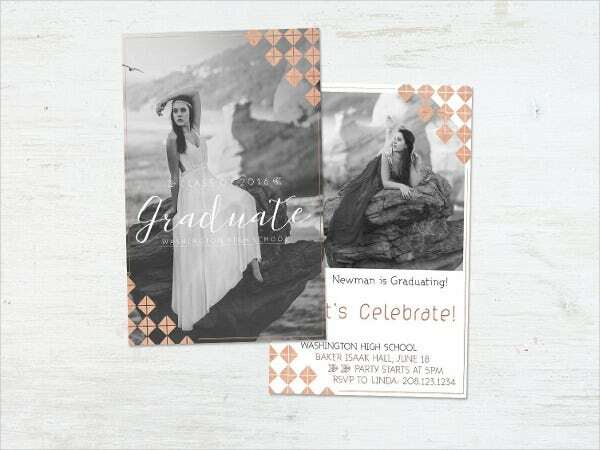 These templates are compatible with most photo editors available and are fully editable to provide you with less hassle in customizing it according to your preferences. Search for the template that you wish to use (for easier navigation, click on the magnifying glass icon found on the upper right-hand corner of the page and type the title or part of the template’s title). 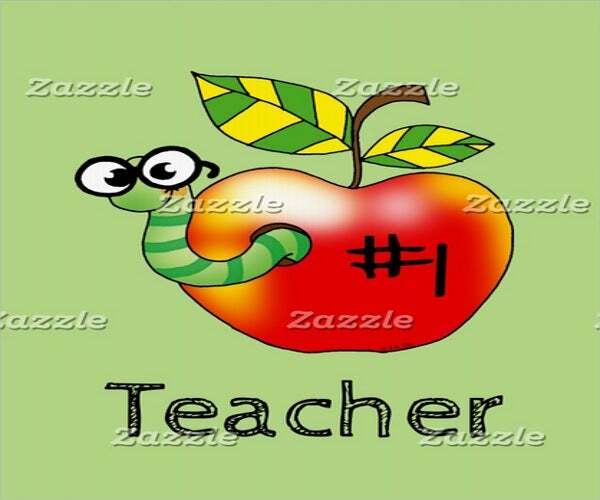 Download the template by clicking on the green Download button below the sample, and save it on your computer. 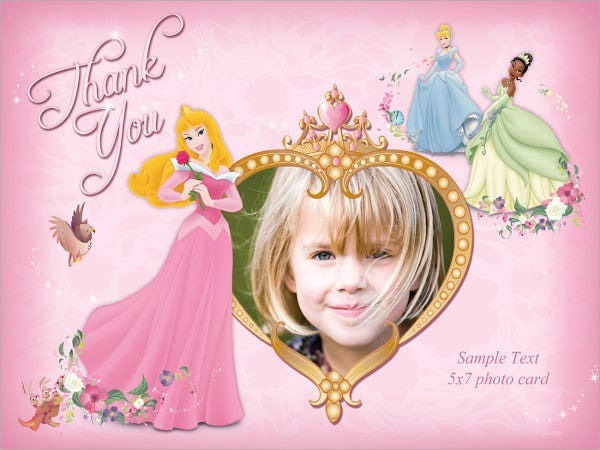 Open the template file on a photo-editing software and make your modifications and personal touches. 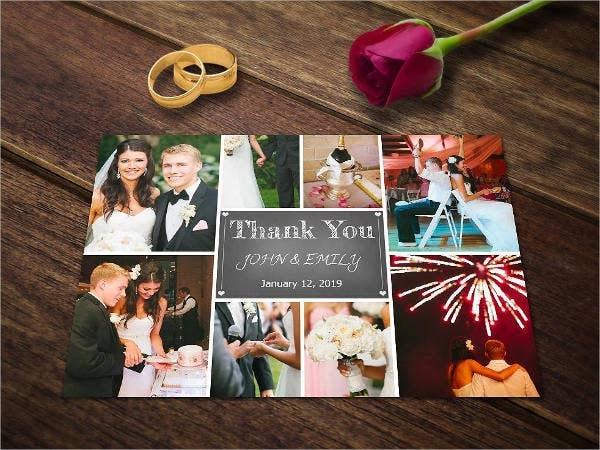 Once you’re done editing, save the finished product back to your computer and start printing a copy of your thank you card. 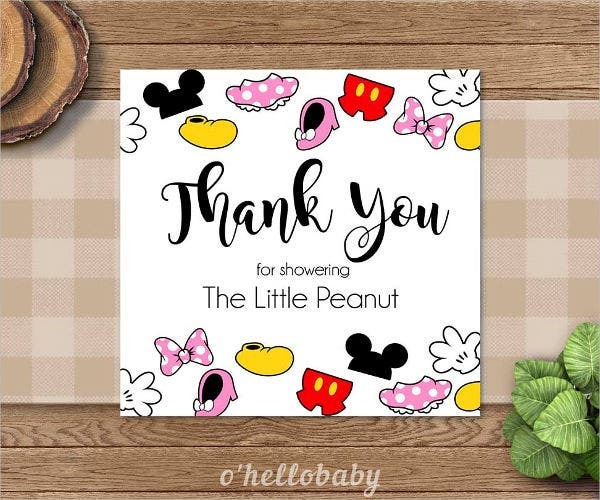 Before you leave, don’t forget to check out our collection of Thank You Notes, Kids Thank You Cards, and Handmade Thank You Cards.